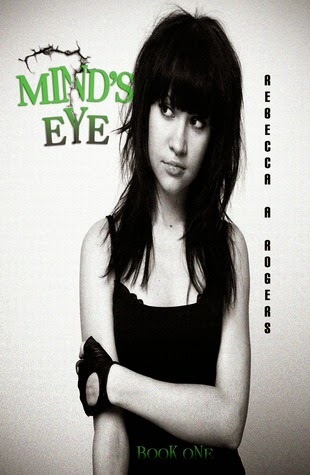 Bookends: Mind's Eye (Mind Eye #1) by Rebecca A. Rogers ~ Promo + Review! Mind's Eye (Mind Eye #1) by Rebecca A. Rogers ~ Promo + Review! Mind's Eye is a very unique read. I was impressed by the amount of thought and imagination that the author put into the writing of this book. Kearly is an average high schooler with a not so average ability. Kearly can travel anywhere in the world. And anywhere not in the world. The sky is the limit. Or rather, her imagination is the limit. If she can think it, she can go there. Unfortunately there is a secret agency called M.I.N.D whose mission is to stop people like Kearly from using their ability. When Kearly fails to heed their warning she is forced to go on the run. Her only allies are the boyfriend of the girl who hates her the most and one of M.I.N.D's own agents. Who does Kearly trust? In the beginning stages of Mind's Eye, I had a little bit of a hard time connecting to the story. The characters and dialogue seemed a little forced or off somehow. But about halfway through the story really hit it's stride and I admit that I was hooked. I soon became really interested in what was going to happen next. Rebecca Rogers did a great job of grabbing my interest and holding on. 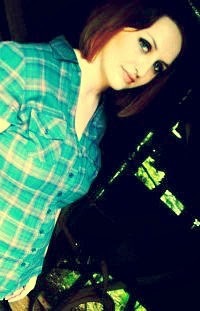 I had no idea who to trust and who not to. I didn't envy Kearly's predicament one bit! And that ending...ugh! I have so many questions that I NEED answered now. Namely, is Cassandra a friend or foe? I sincerely cannot wait to read the next book in this series! While it took me a bit to warm up to this first book, I have high hopes for this series as a whole!